With Halloween coming up next week, I can’t get enough of pumpkin/rust, black, and moss green together! 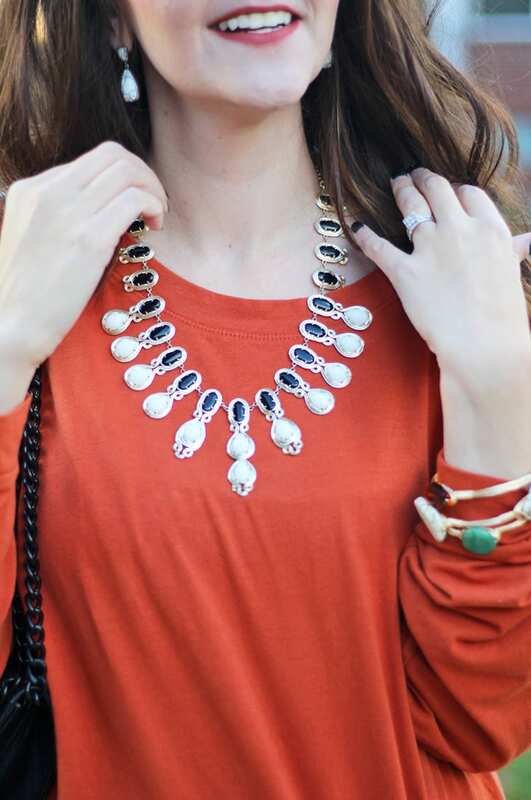 These are classic fall colors that also work perfectly for a classy Halloween outfit. I’ve teamed up with Della Devoted to show you how we’re wearing classic colors for fall this season! This fall, I’m living in leggings (yes, as pants). 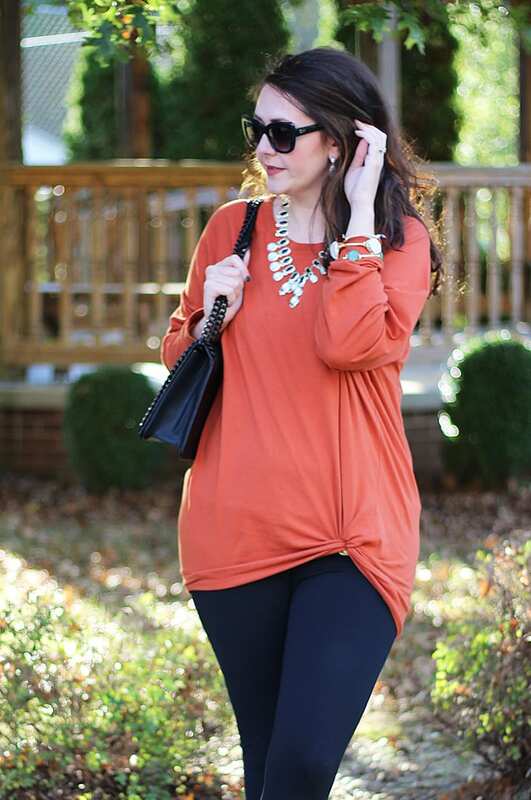 So I was very excited for these slouchy dolman tunics from The Mint Julep Boutique!!! 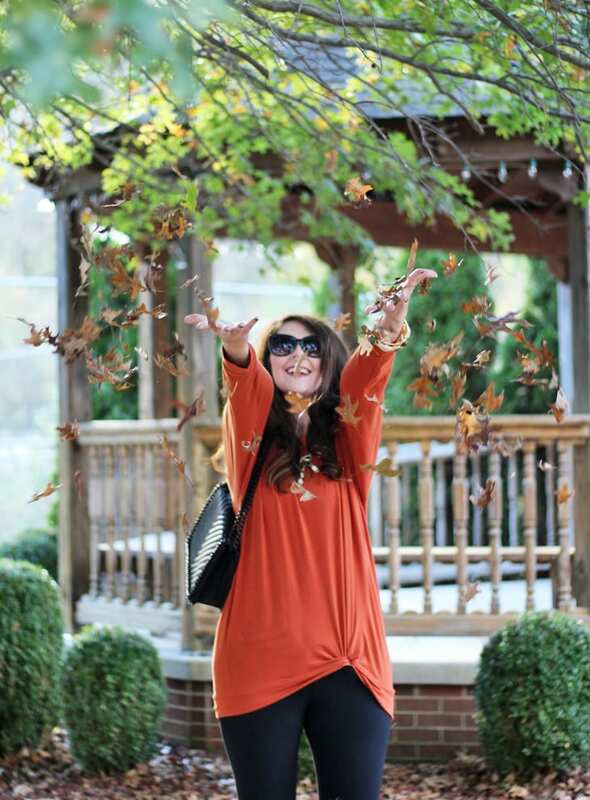 These tunics are the perfect length to wear with leggings and very comfortable. They come in 17 different colors. While you can usually only get these tunics at the sale price of $24 on Sundays, The Mint Julep is offering my readers access to this deal any day of the week when you use this link! To give your tunics a different look, try this trick: gather the end of the shirt to one side, then take a hairband/elastic and tie it around the end of the tunic. Finish by tucking the tail you’ve created under the hem of the shirt. This will give you the rolled hem look that is so popular right now! I love how the black leggings, boots, and purse anchor this look. 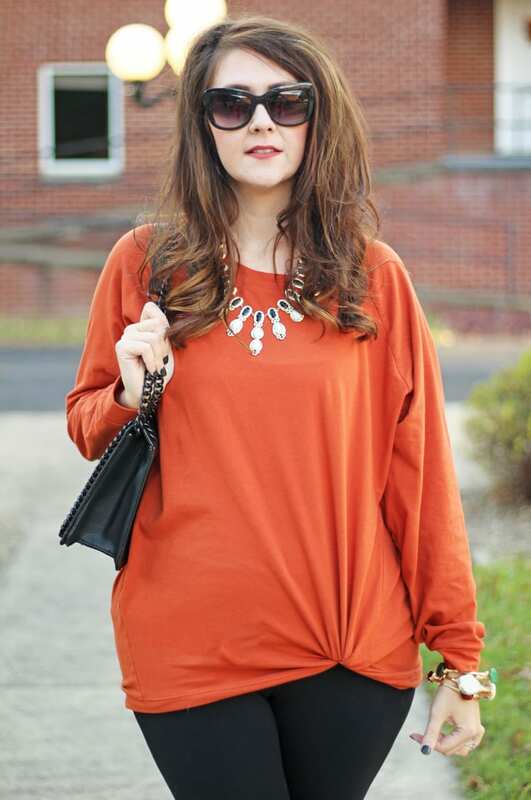 It really allows the rust-colored tunic to shine. 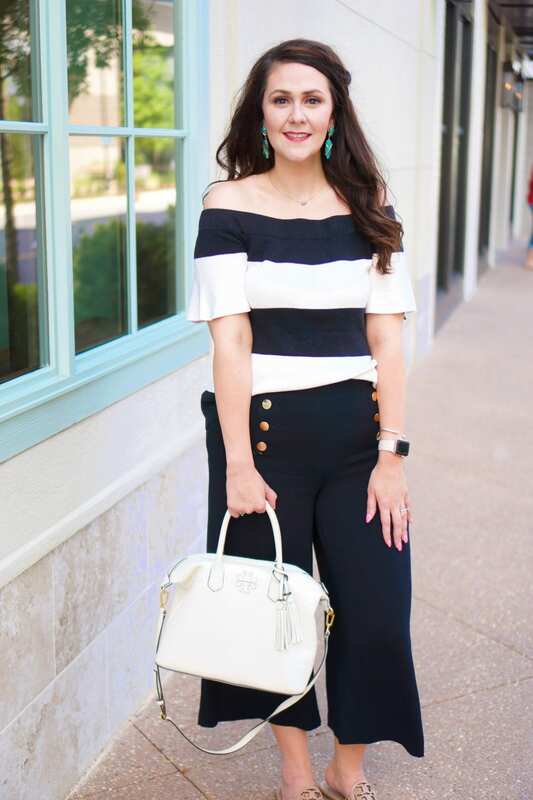 To pull together the whole look, I added a Kendra Scott statement necklace in black and white. What classic colors are you wearing this fall? Be sure to check out Della’s look too!